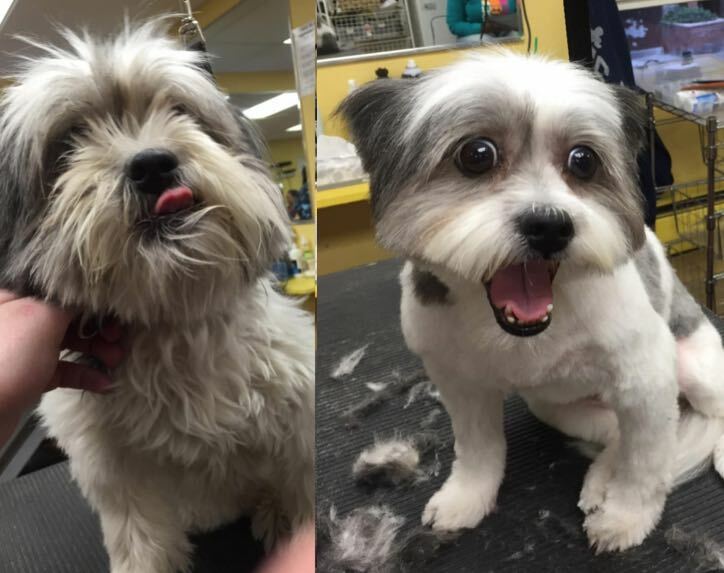 The secret to anyone’s success can start with a great haircut — even if you’re just a dog. 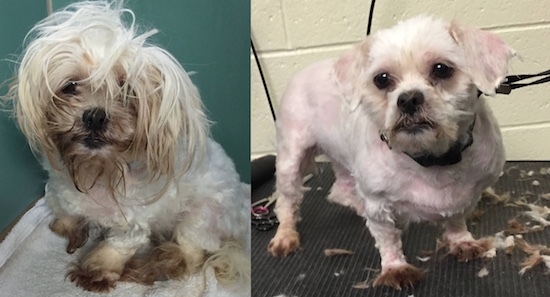 Mark Imhof only started his dog grooming service four months ago, but has already donated 50 free trims to homeless pups in New York City in order to improve their chances of being adopted–and, wow, does it work. 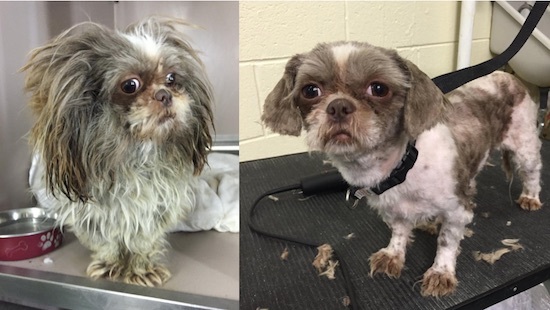 Just check out these “before and after” pictures to see how a bit of grooming has very much improved the dogs’ chances of finding a forever home. Imhof owns “The Dog Guy” pet services, and says his volunteer work is helping these dogs win back some of their self-respect. 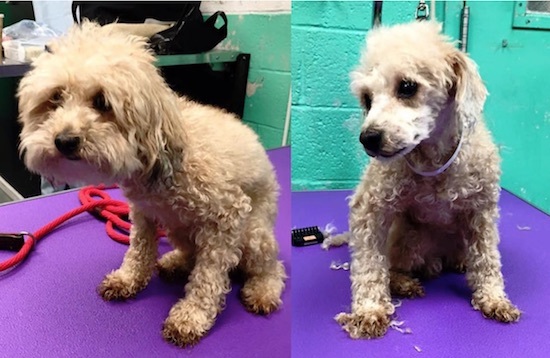 Some of the dogs come into the shelter with fur so matted, it makes it difficult for them to move — or even interferes with their sense of smell. 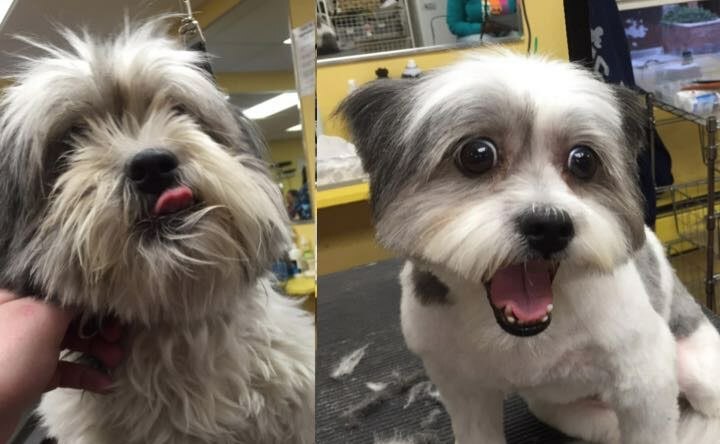 Imhof says he’s seen instant personality changes in dogs as soon as he finishes with their haircuts. 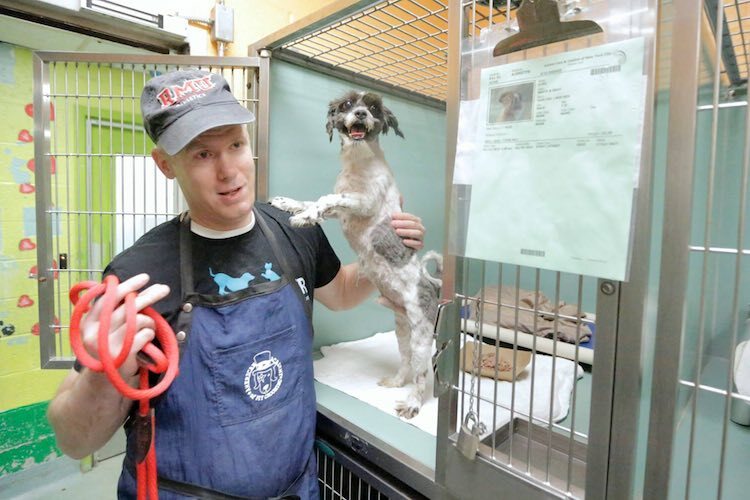 Imhof, quit his job as a certified public accountant, to start his pet services business in November — and began providing free trims for a passel of pooches at Animal Care Centers of NYC. 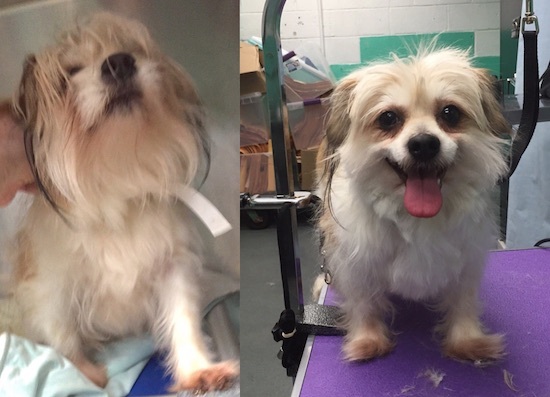 These make-overs have resulted in almost every dog moving on to a forever home. One animal was even adopted as he was being carried off the grooming table.